The plan provides a spatial framework for the future of Seychelles to 2040, providing policy across a range of topics to guide development, inform lower-tier policy, including land use plans, and inform decision-making. It was vital to the government that the local community should ‘own’ the plan, which is inclusive and collaborative founded on extensive stakeholder and community engagement and a robust evidence base. 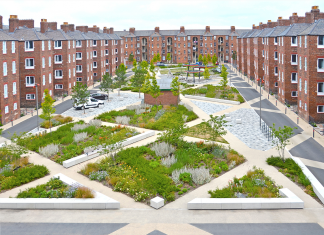 Early on it became clear that green and blue infrastructure play an essential role in the culture, economy and resilience of this island nation, so landscape was put at the heart of the plan. The plan, approved in September 2015, comprises an integrated national strategic plan, a framework plan for the most populous island (Mahé), and a detailed masterplan for the capital city Victoria. The plans are supported by a suite of evidence-based documents covering everything from character assessment to security and disaster-risk assessments. Preparation of a strategic plan for the Seychelles that will set out the urban development framework for the sustainable growth of the Seychelles over the coming 20 years. The Seychelles Strategic Plan (the ‘Plan’) will cover all of the Islands that form part of the Seychelles but will focus upon the main Island of Mahe’ together with producing a detailed masterplan for the capital city of Victoria. The Plan is built upon a robust and credible evidence base and will be drawn up following a thorough analysis of all issues related to land use planning. The Plan will ensure that the most appropriate strategies for growth and sustainability are recommended when considered against other reasonable alternatives. The Plan will articulate a clear vision for where the Seychelles is aiming in the future and will set out how places within the Seychelles will develop. The Plan will inform decision making, development and investment and will give clarity, direction and confidence moving forward. The Plan will respond to the growing population of the Seychelles and its growing and changing economy whilst ensuring that the country’s resources are used as efficiently and sustainably as possible. The Plan will receive its direction from the Government of the Seychelles. The Abu Dhabi Urban Planning Council will act as technical support for the Seychelles Government and will be jointly responsible for moving the project forward. The Plan provides a spatial framework for the future of Seychelles to 2040, providing policy across a range of topics to guide development, inform lower-tier policy, including land use plans, and inform decision making. It is an inclusive and collaborative plan founded on extensive stakeholder and community engagement and a robust evidence base. 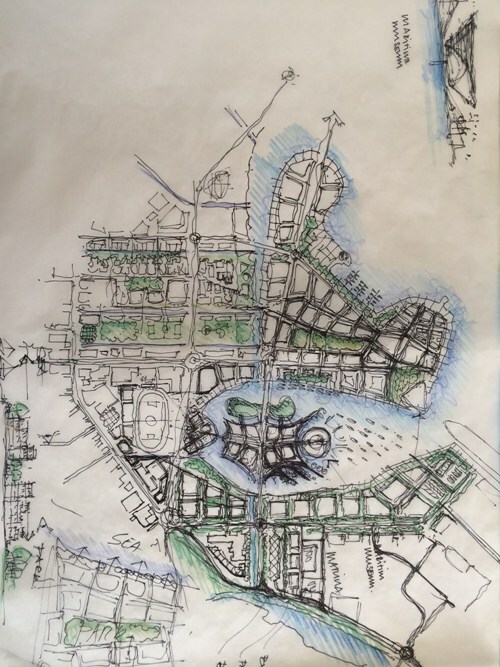 The plan, approved in September 2015, comprises an integrated national Strategic Plan, a Framework Plan for the most populous island (Mahé), and a detailed Masterplan for the capital city Victoria. The plans are supported by a suite of evidence-base documents including: existing conditions report, character assessment, opportunities and constraints, economic strategy, demographic projections, housing needs assessment, growth scenario analysis and supporting land use, environment, sustainability, community facilities, transport, utilities, security and disaster risk assessments. The plan is the first strategic planning document of its kind in Seychelles. Following its completion, the plan has been approved by Cabinet. Alongside the National Development Strategy and Seychelles Sustainable Development Strategy, the plan now acts as the third pillar for decision-making. For a land-constrained island nation, this recognition of the importance of responsible land and resource management is hugely important and testament to the success of the plan. The plan is being actively used to determine planning applications by Seychelles Planning Authority. It is also being used by ministries and external bodies to make strategic decisions and guide decision-making.